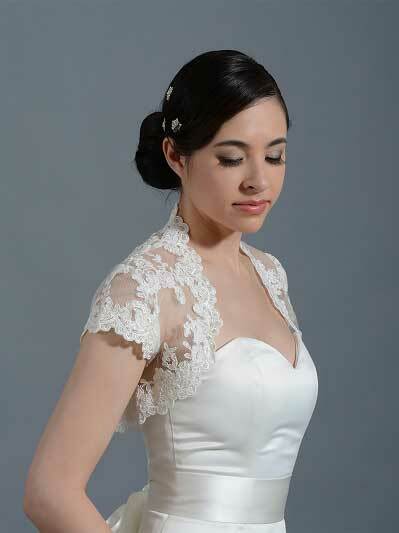 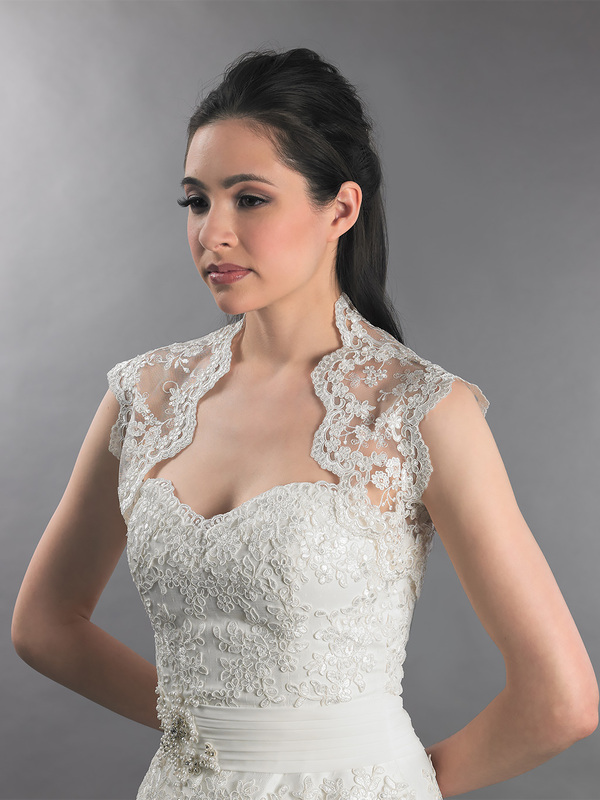 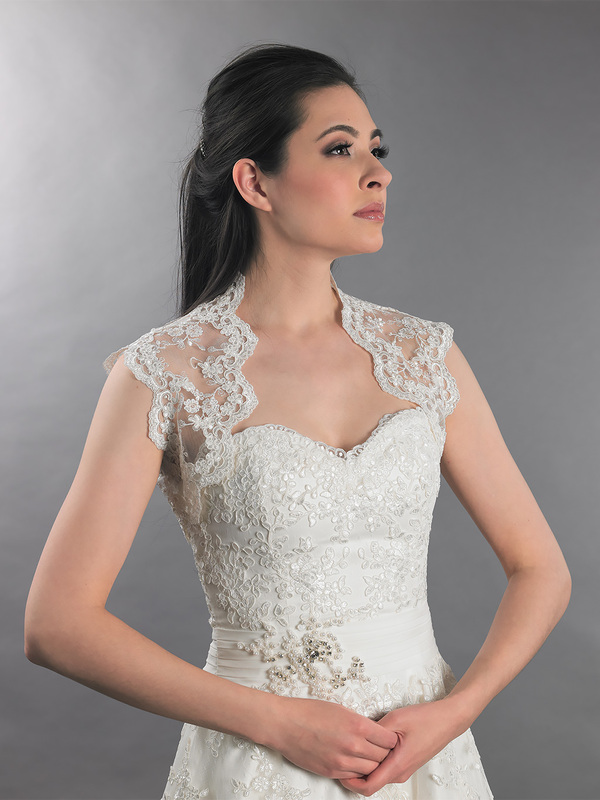 This is an ivory sleeveless lace bolero wedding bolero jacket made of delicate embroidered lace. 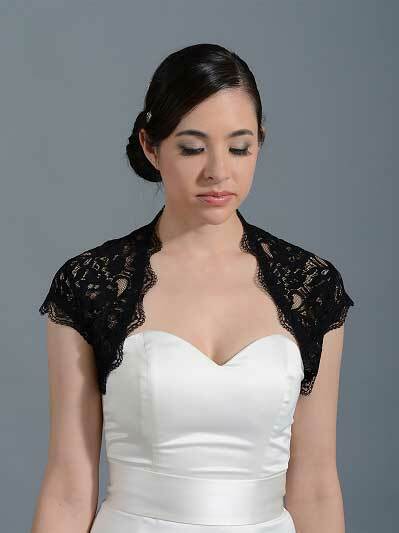 This lace fabric is unique and very hard to find. 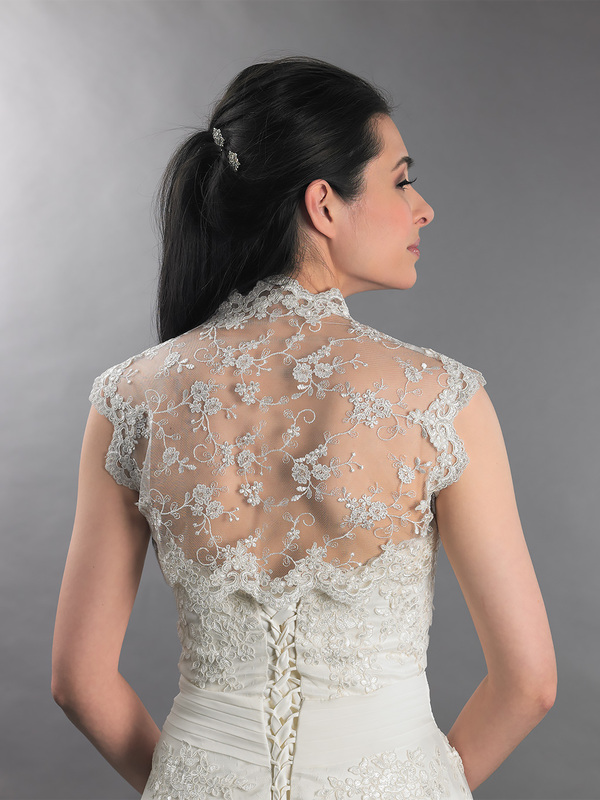 The small flowers on the lace fabric have champagne tint in the center.